Image Courtesy of Vogue.com, Illustration by Gladys Perint Palmer. 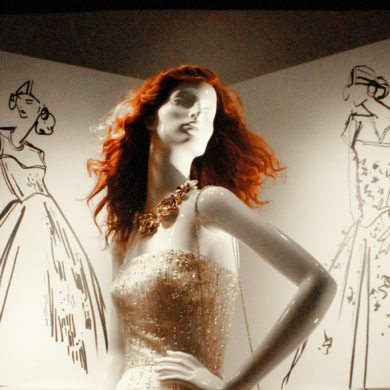 We love Vogue.com because – let’s be honest – once a month just isn’t enough. The publication’s online outpost provides us with daily doses of fashion and fun to hold us over until the next issue arrives. 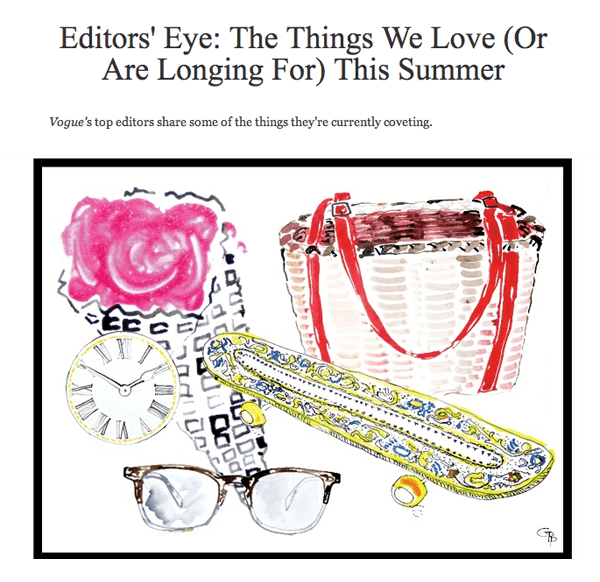 One of our favorite features is the Editors’ Eye column, where the tastemakers at Vogue share their current cravings. 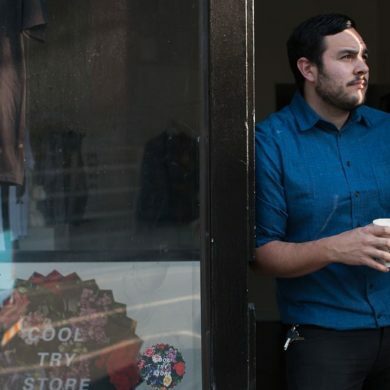 They’re always dishing on the latest restaurants and newest designers, letting us in on their insider perspective. Another reason to love it – the feature is illustrated by School of Fashion executive director Gladys Perint Palmer! This month, GPP has illustrated a few of the editors’ summer must-haves. Head over to Vogue.com to see what their coveting! Event alert: Shop MAX&Co. 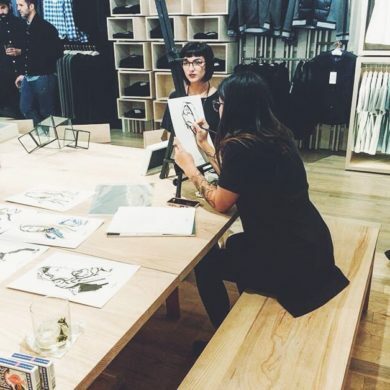 S/S 16 Collection & See Fashion Illustration Instructor Briana Kranz In Action!